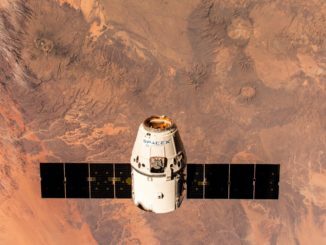 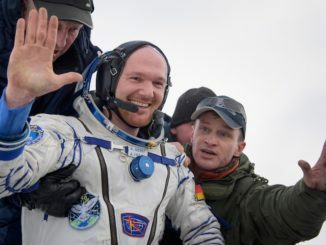 Russian commander Sergey Prokopyev, German flight engineer Alexander Gerst, and NASA astronaut Serena Auñón-Chancellor closed out a nearly 197-day space mission with a landing in Kazakhstan aboard their Soyuz MS-09 crew carry ship at 0502 GMT (12:02 a.m. EST) Thursday. 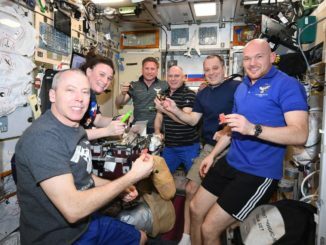 The Soyuz crew undocked from the International Space Station at 0140 GMT (8:40 p.m. EST Wednesday) to begin their return to Earth. 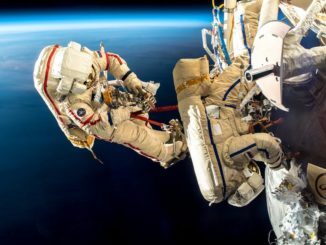 Eight days after a dramatic spacewalk to inspect the site of a leak in the hull of his Soyuz ferry ship, Russian commander Sergey Prokopyev, German flight engineer Alexander Gerst and NASA astronaut Serena Auñón-Chancellor geared up to depart the International Space Station Wednesday for a fiery plunge back to Earth. 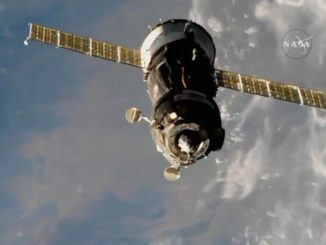 A cosmonaut and two NASA astronauts finished packing up their Soyuz ferry ship Wednesday and prepared to undock from the International Space Station early Thursday for a fiery descent to touchdown on the steppe of Kazakhstan to close out a 197-day mission that included four spacewalks, a full slate of research and an emergency leak repair. 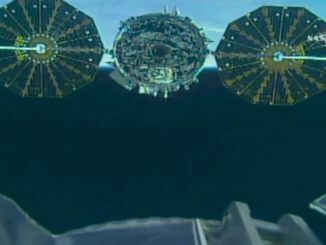 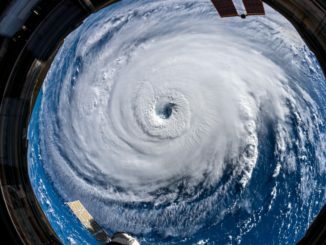 Closing out 52 days at the International Space Station, an automated Northrop Grumman Cygnus cargo craft left the research outpost Sunday to climb into a higher orbit for deployment of six CubeSats and further engineering experiments, before de-orbiting over Pacific Ocean later this month. 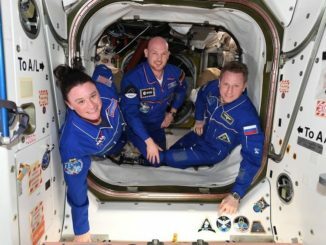 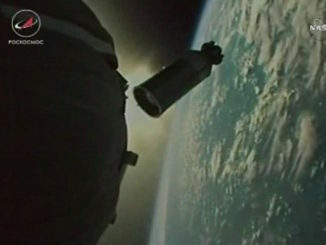 Two days after launch from Kazakhstan, a Russian Soyuz spacecraft carrying a crew of three wrapped up a problem-free rendezvous Friday, docking at the International Space Station’s Earth-facing Rassvet port less than a week after three other crew members departed. 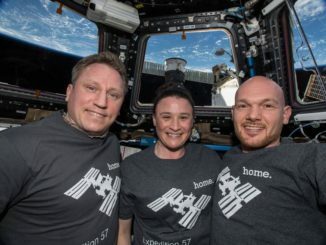 A three-person crew heading for the International Space Station took off Wednesday from the Baikonur Cosmodrome in Kazakhstan and arrived in orbit around nine minutes later, beginning a two-day pursuit of the research outpost.